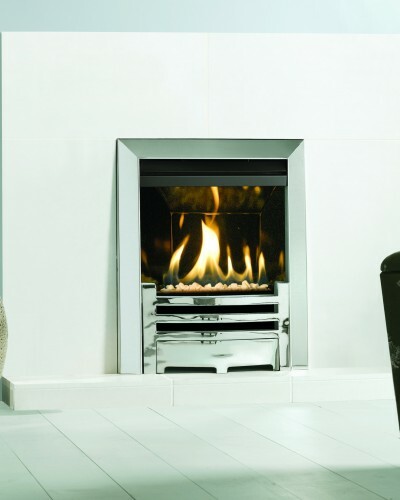 Gazco’s Spanish front is available with the Logic, E-Box & E-Studio and VFC inset gas fire ranges. 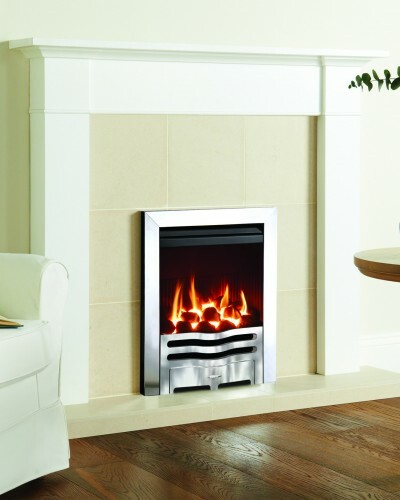 At the cutting edge of modern design, the strong lines, slim profile and smooth surface of the Gazco Futura inset gas fire mark out its innovative styling. 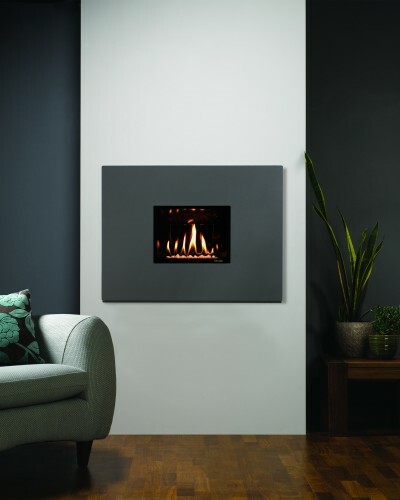 The reflective black glass is impressive yet not overpowering in smaller spaces and, by incorporating your choice of high efficiency E-Studio or E-Box gas inset fire, the Futura offers the perfect combination of ‘design statement’ and heating performance. 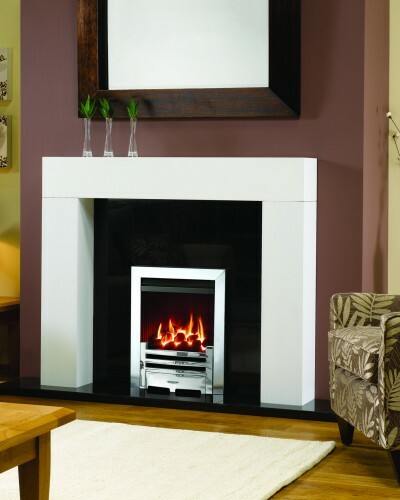 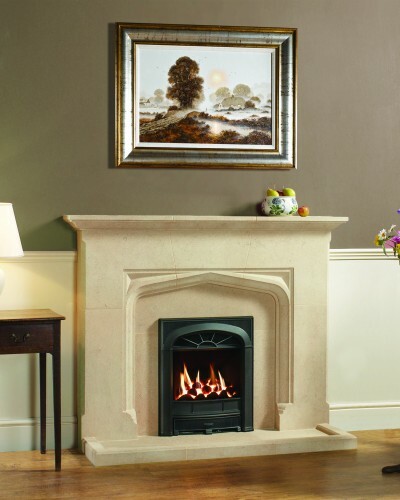 The E-Studio gas fire option has a white stone fuel bed. 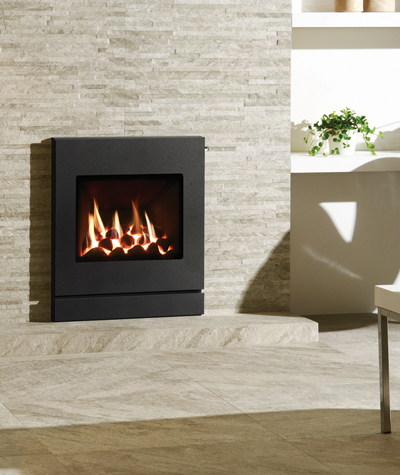 The E-Box version offers you the choice of a coal or pebble effect fuel bed. 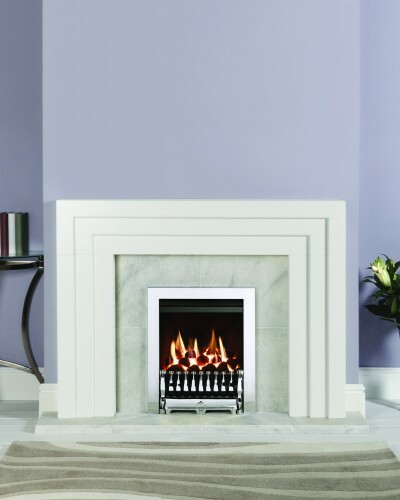 You can also select from our wide selection of sizes, colours and control systems for your inset gas fire. 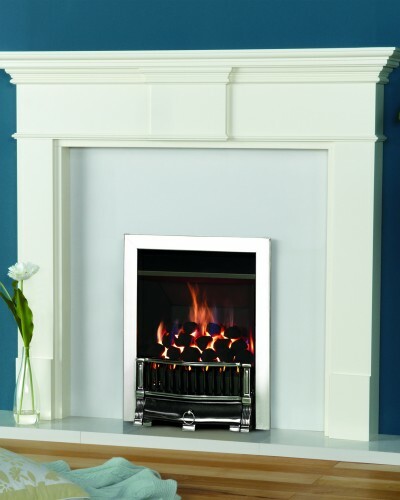 The Futura gas fire is also available as an electric fire.